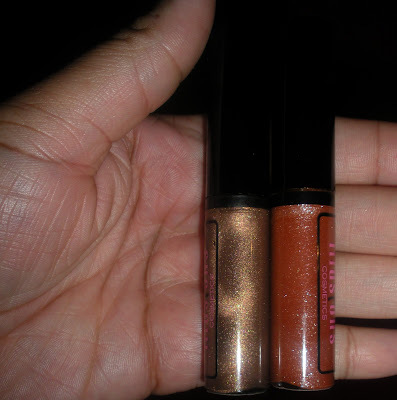 I purchased two lip glosses from Illusions Cosmetics and I love them! On the left we have Brown Sugar which looks like a brown/copper/gold color. For some reason the color reminds me of the color Supreme from the MAC Neo Sci Fi collection. However, Brown Sugar has more of a brownish hue while Supreme features a more copper look. Anyway I will honestly take an Illusions Cosmetics lipgloss over MAC any day of the week mainly because it is super silky when applied- NO stickiness. The colors are so pretty and you get a burst of color with just one application. 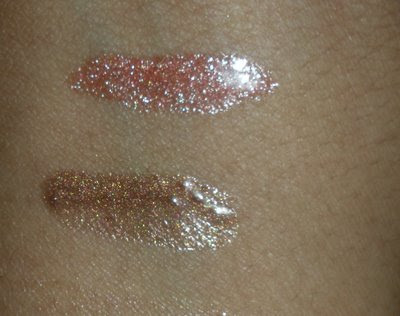 The second color is Sparkle and it has glittery flecks in it but not like those abrasive sparkles that you may find in some lipglosses.So far I have tried three lipglosses from this company any they are all winners. I like that there is consistency in the formulas only the color changes but the great application lives on in each tube. Priced at $10.00 per tube. Below you will find a comparison between Brown Sugar and Supreme. As you can see the colors are not identical but in a similar family when applied. I really like that Brown Sugar color. I have a l'oreal color similar but when it fades I look like a fool! uh-oh, that might be troublesome for MAC. fortunately for them, im a loyal fan and they have an uber convenient location for me. what's the difference in price? i looovve your short updates on reality tv and the fat smash diet.. keep it up chica! TM Oh I have or should I say HAD a color that did that to me so I had to throw it out. 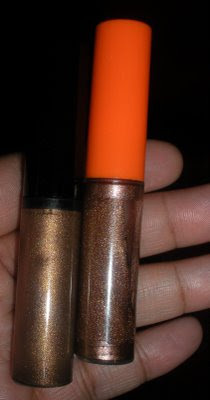 Yummy The Illusions cosmetics lip glosses cost 10.00 while MAC glosses are about 14.50. Thanks I will keep the updates coming.